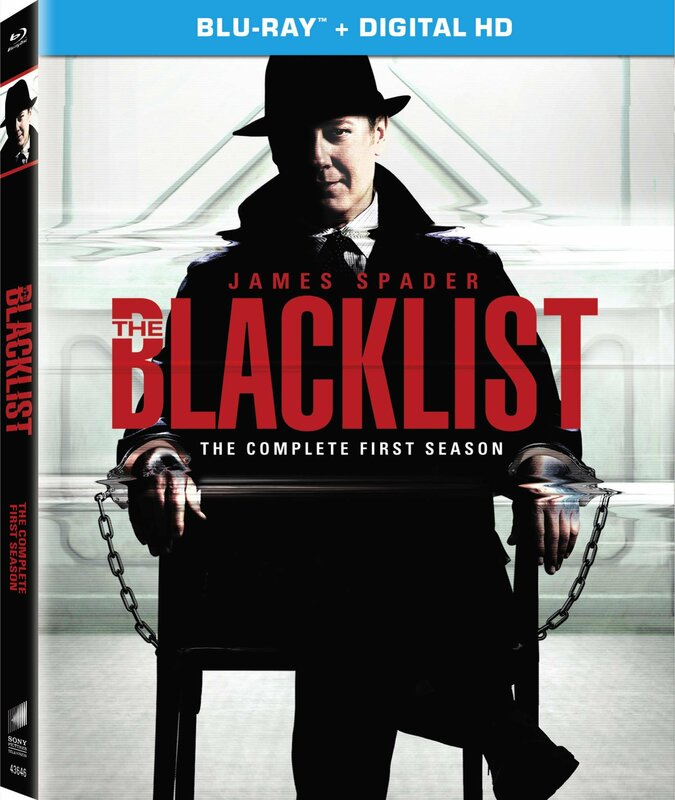 CULVER CITY, Calif. (June 16, 2014) –NBC’s top rated drama series of last season, THE BLACKLIST,arrives on Blu-ray™ and DVD Aug. 12 from Sony Pictures Home Entertainment. Three-time Emmy® winner James Spader (TV’s “The Practice,” TV’s “Boston Legal”) gives a tour-de-force performance in the explosive and winningly deceptive crime drama, playing one of the world’s most wanted fugitives. The well-reviewed series, which was NBC’s top rated program, as well as the No. 1 drama on all of network television last season (Live +7, ages 18 to 49), follows Raymond “Red” Reddington (Spader) through multiple twists and turns as he helps the FBI bring down the world’s most fascinating and notorious criminals. Also starring is Megan Boone (My Bloody Valentine), Diego Klattenhoff (TV’s “Homeland”), Ryan Eggold (TV’s “90210”), Parminder Nagra (TV’s “ER”) and Harry Lennix (Man of Steel). All 22 episodes are included in thefive-disc Blu-ray and DVD releases of THE BLACKLIST: THE COMPLETE FIRST SEASON, arriving just in time for fans to re-watch and fill in the puzzle pieces before the premiere of the second season this fall. Special features include commentary on three key episodes and two all-new featurettes. “The Insider: Making Season One” takes viewers through the freshman season with the cast, writers and executive producers, from brainstorming the weekly Blacklisters to developing character relationships. In addition, there are 22 episodes of “Beyond the Blacklist,” offering a behind-the-scenes look at each of episodes. Exclusively available on Blu-ray are two additional featurettes. The first, “Inception: Making the Pilot,” provides an inside look at how THE BLACKLIST was brought to life, featuring the cast, production team, creator Jon Bokenkamp and pilot director Joe Carnahan. The second featurette, “Rogue’s Gallery: The Blacklisters,” gives insight into the writers and executive producers’ process of creating the notorious criminals on the show. Also exclusive to the Blu-ray are behind-the-scenes character profiles on all the major players, from “Red” and Liz Keen to Tom Keen and FBI Assistant Director Harold Cooper. Former government agent Raymond “Red” Reddington (Spader) has eluded capture for decades. But he suddenly surrenders to the FBI with an offer to help catch a terrorist under the condition that he speaks only to Elizabeth “Liz” Keen (Boone), a young FBI profiler who’s just barely out of Quantico. The Insider: Making Season One – The cast, writers and executive producers of The Blacklist take us through Season One, from brainstorming the weekly Blacklisters to developing the relationships between Elizabeth Keen, Tom Keen, and the “concierge of crime,” Raymond Reddington. Rogue’s Gallery: Villains– The writers and executive producers of The Blacklistdiscuss their process of creating the notorious criminals on the show. The cast weighs in on some of their favorite guest stars. o Raymond Reddington – Who is Raymond Reddington really? James Spader, Megan Boone and the producers of The Blacklist discuss Spader’s role. o Elizabeth Keen — Megan Boone talks all things Liz Keen from her relationship with Raymond Reddington to her emotional journey throughout the first season. o Tom Keen — Ryan Eggold discusses the challenges and joys of playing a character whose motivations aren’t revealed until late in the season. o Donald Ressler — Megan Boone and producers John Eisendrath and Jon Bokenkamp weigh in on working with Diego, how Ressler almost lost a leg, and why we shouldn’t believe everything we see. o Harold Cooper — Harry Lennix and producer Jon Bokenkamp discuss the character of Harold Cooper, a character whose history, especially with Raymond Reddington, might just come further into focus as the show progresses. o Meera Malik — Parminder Nagra and the producers discuss the multiple dimensions to Meera Malik. o Aram Mojtabai — Amir Arison takes us through his season from starting as a day player to his scene with James Spader as Aram races against the clock to save his own life. Broadcast Year: 2013-2014. THE BLACKLIST: THE COMPLETE FIRST SEASON is not rated. EMMY ® is a registered trademark of the ATAS/NATAS.